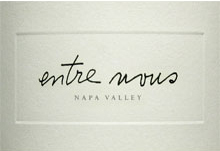 The name “Entre Nous” means “between us.” That’s how estate proprietor Kristine Ashe views her wines and business. She believes the connections between people bring us the greatest joy, highest passion and most authentic satisfaction. Their team shares passions and a dedication to world-class wine making. Their hand-crafted, exquisite wine is located in the heart of Napa Valley. With the help of world-class winemaker, Philippe Melka, they use the process of hand de-stemming along with barrel and concrete fermentation to attain the purest expression of the fruit possible. Classic Bordeaux varietals including Cabernet Sauvignon, Merlot, Malbec, Petit Verdot and Sauvignon Blanc are planted here.